Beautiful pieces I love the in progress shot of what you want to do with your metal clay piece, it looks like it will be amazing! and how cute is your firefly!!!! Love the legs! Lovely piece! You do amazing work. 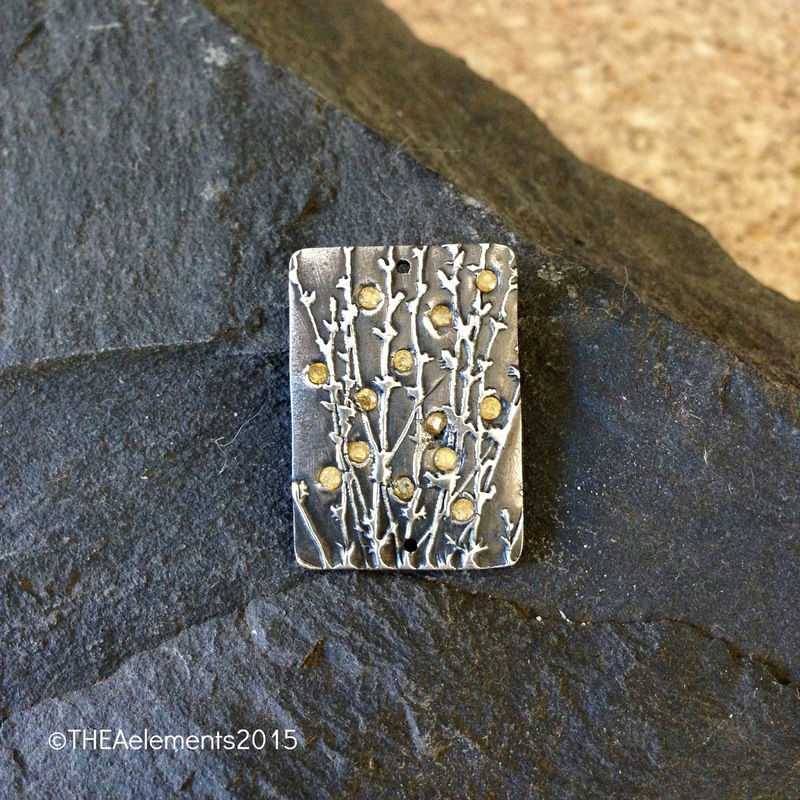 I love the metal clay pendant and your sketch for how to use it. You have a very elegant necklace in the making. And that little firefly on a leaf is adorable. I think I worked in the opposite direction from you, because I made a more literal firefly first, and then a looser interpretation of the images. My firefly doesn't have legs because I didn't want wires poking out. But yours works well with the leaf as a background. I love how much you stretched with both of these. Both are delightful. I love the mixed metal pendant idea for the PMC piece! I think it will be elegant. And your little guy – he's fun! Oh Lesley, I love your pieces! The square pendant captures the mood of the challenge perfectly and I love how you've made the top of the leaf in the second one look as though the firefly has lit it up! These are perfect! 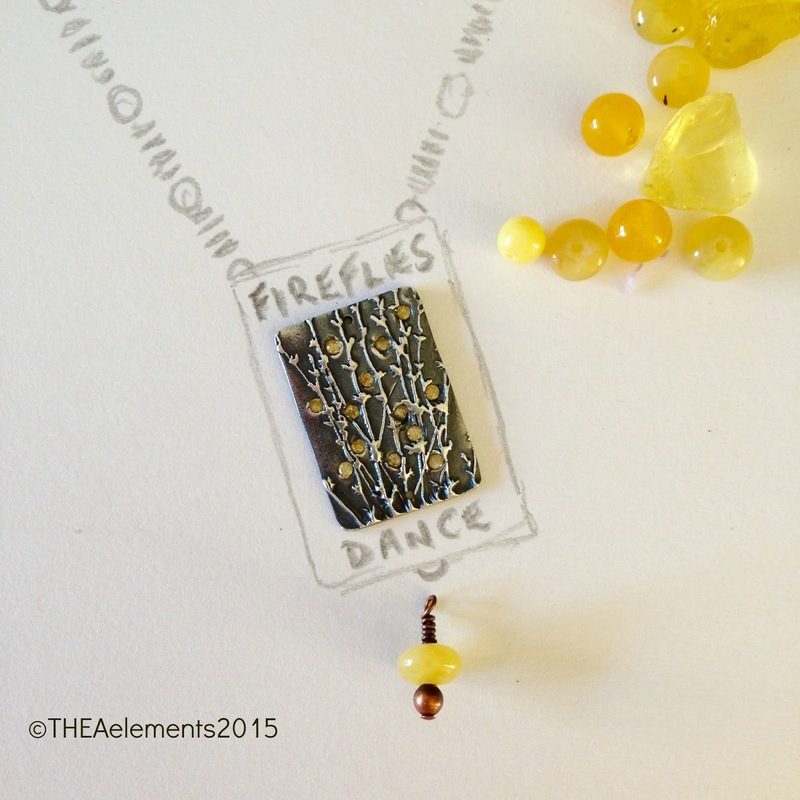 I ohhed and ahhed at that firefly pendant – just magical! Oh I love the pendant and your idea of setting it on top with wording is great. 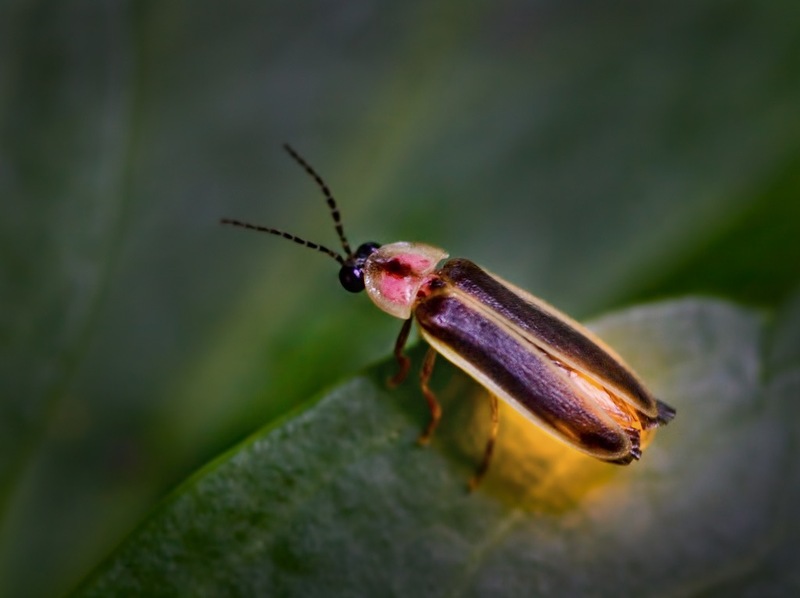 The little firefly is perfect! 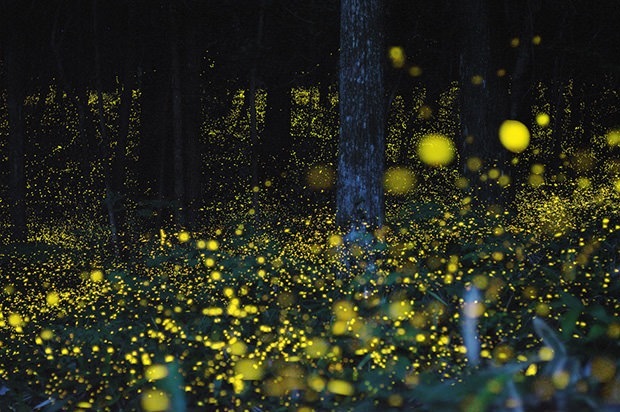 I reconnected with fireflies back in 2008 – before that I must have seen them when I was a child. Our life adventures get us back to the mountains and rural PA in the summer, and our firecamps are full of the magical creatures. Both your pieces are beautiful – the PMC pendant is truly spectacular, though! I love the design you drew around the piece, and I'd love to see it finished. Love where your muse wanders. I can't wait to see the finished necklace for the first focal. I bet it is going to look incredible. Wow – love the pmc pendant!! Wonderful idea! Well done!! I also just love the Ceramic firefly also!! Love the silver design, I can't wait to see it finished, and the ceramic pendant is brilliant… love how you've glazed him to glow! 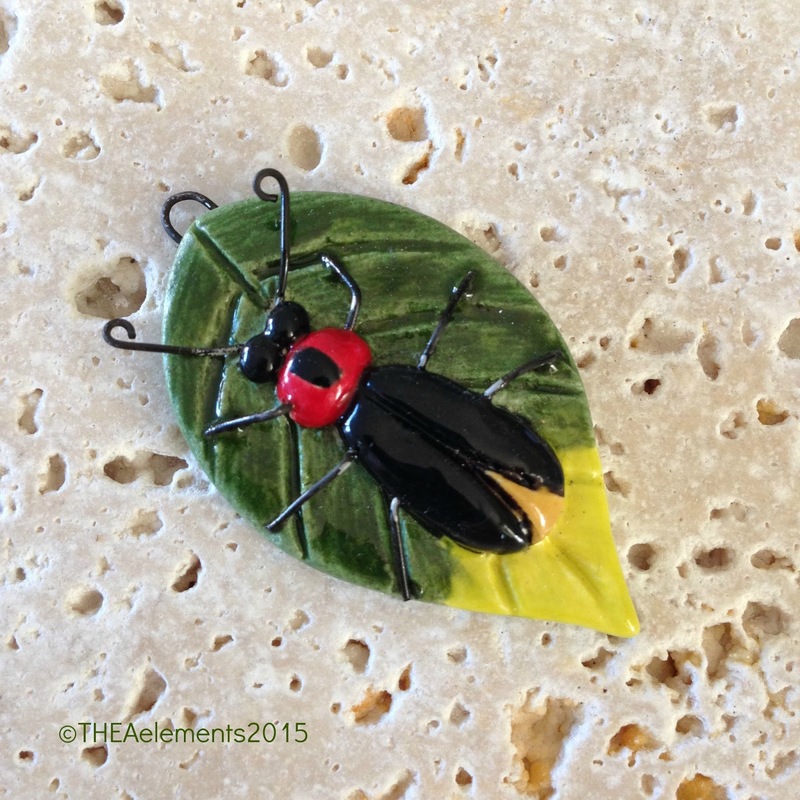 Your silver clay firefly pendant is magical, just lovely! And the ceramic firefly is a cutie! Love the ceramic firefly! He is very representative of the wonder bug! Can't wait to see how the necklace turns out. Excellent job!